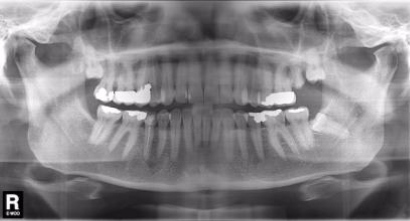 Delayed replacement of a lower right 2nd premolar tooth, otherwise symptomless. OPG Shows - LR5, sub- optimal RCF with mental foramen very close to root apex, UL7 retained Roots, - LL6 crown distal radiolucency. Delayed approach indicated to avoid increased risk of nerve damage due to proximity of mental foramen. 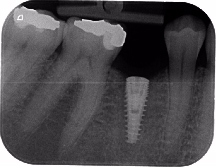 Long cone periapical radiograph taken immediately after placement of Implant LR5. Confirming correct angulation and positioning of implant. Long cone periapical radiograph. 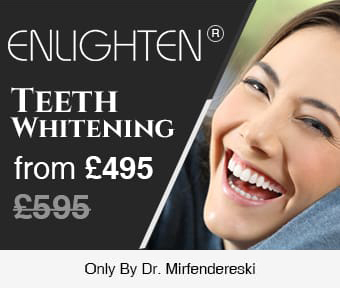 Shows LR5- Implant and restoration in-situ with no obvious bony or marginal defects. 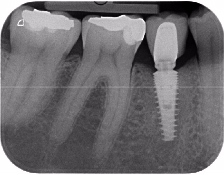 Abutment connected in accordance with restorative protocol.